Soccer Italian Style was established in 2005 when the founders Mirko Mazzantini and Simone Bombardieri, professional youth soccer coaches, embark in their first project, travelling in the United States, to Atlanta, Georgia, for organize and hold the first Soccer Italian Style event, recording a great success. In subsequent years more than 50 events will follow, inclusing camps, team camps and coaches clinics. 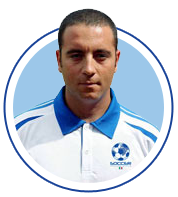 Mirko Mazzantini was born in Fucecchio (Firenze) in 1977, and started his coaching career at the young age of 19. After 3 years he was hired by Empoli FC where he spent 10 years working across all the age levels. For last 8 years he has been on the technical staff of ACF Fiorentina (U14/15 coach). 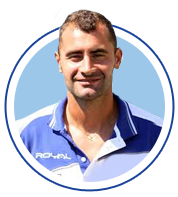 Mirko obtained his degree in Business Administration at the University of Pisa, he is a qualifed soccer school instructor and has the UEFA A certification. 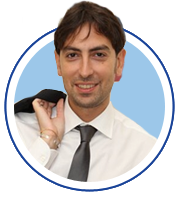 Mirko is the author of various pubblications, articles, books and dvd’s for some of the main distributors of national and international sports. Simone Bombardieri was born in Empoli (Firenze) in 1976. He grew up as a soccer player in the Empoli youth teams, and began his coaching career at the age of 22. 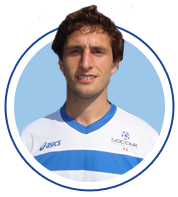 He spent 3 years for a local amateur club and then moved to Empoli FC where he is still involved after 15 years. 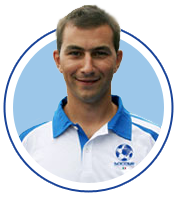 He has coached all the youth age levels and he is currently the technical coordinator of the Empoli FC Soccer School. 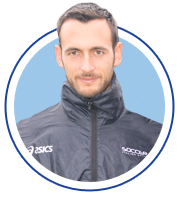 He obtained his bachelor in Sport Sciences at the University of Firenze, he is a qualifed soccer school instructor and has the UEFA B certification. 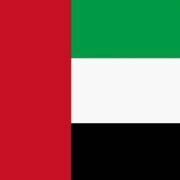 Simone is the author of various pubblications, articles, books and dvd’s for some of the main distributors of national and international sports. 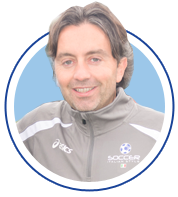 One of the main assets of Soccer Italian Style is the professional staff, comprised and selected among the best professional coaches of youth soccer, coming from the main Italian prof. soccer clubs, who share with the founders of Soccer Italian Style, the passion of teaching the game of soccer. The success of Soccer Italian Style is due to their founders ability to transmit their knowledge, experience and their methods for training young players of all ages. All is done with competence, professionalism and great simplicity. We at CF Academy are really proud to work on a long term partnership with SIS. 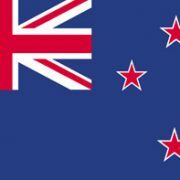 Top Flight Football Academy is very grateful for it’s relationship with SIS and will continue to work alongside Mirko, Simone and all SIS staff for the betterment of football here in New Zeland and around the world. In 2007 we ran the first coaching clinic with Mirko and Simone here in Vancouver. 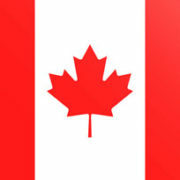 It was a success and a stepping stone for the next 10 years of activities in the Vancouver and British Columbia area, including coaching clinics, soccer camps and books and video production. Local coaches and clubs appreciated the knowledge and professionalism of Mirko and Simone, and the innovative ideas on coaching youth players. They brought the reality of a professional club into a local recreational club.